Submitting a mortgage application is an undertaking that’s not to be taken lightly. In fact, it’s typically the biggest and more important financial decision most people will ever make. Nevertheless, a surprising majority of people dive into the mortgage application process with no real idea what they’re getting themselves into. Mortgages can be complex, time-consuming and difficult to organise. Likewise, knowing which type of mortgage suits you best doesn’t always come easy. Not to mention, the process of carrying out a full-UK mortgage comparisonto find the best deal. Depending on your requirements and financial circumstances, some home loans could prove far more effective than others. A remortgage is an option that allows a current mortgage borrower to switch to a better deal in order to reduce their monthly payments or the total balance of their loan. Mortgage loans offered specifically for investors looking to buy properties to be let out to tenants. Unique criteria must be fulfilled in order to qualify. Standard home loans for property purchases, which are available in hundreds of shapes, sizes and specifications. Home loans that can be repaid early if required, in order to save money on the life of the balance any associated borrowing costs. Designed to help newcomers get onto the housing ladder for the first time, with unique incentives and affordable deposits for those with limited budgets. Even when you’ve determined the type of mortgage you need and how much you need to borrow, you’ve still only covered half the job. Then comes the time to compare mortgage deals from High Street lenders and independent specialists alike, in order to find the best possible deal. Detailed below, you’ll find just a few examples to illustrate the different deals available from competing lenders at the time of your application. Even when comparing the biggest names in the business, mortgage deals vary enormously from one lender to the next. With some, the incentive is the reduction or elimination of fees, in exchange for higher rates of interest and larger monthly payments. Others charge more in arrangement and completion fees, though with more affordable monthly instalments. It’s therefore essential to organise a complete mortgage comparison with the help of a reputable independent property finance broker. Compare mortgages from the major High Street names and as many specialist lenders as possible, in order to find the best possible deal to suit your requirements and budget. 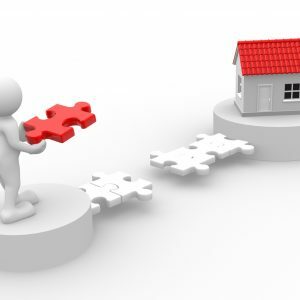 Previous Article Previous post: Are There Similarities Between a Bridging Loan and a Secured Loan? Next Article Next post: When Would You Need to Use a Subprime Mortgage?